All Black All Day - I.A. Total black look is always a good choice and classical one. I love this coat and its buttoning because you have two ways to wear it.Also I like coats and jackets that are inspire but military uniforms because of their form.Turtleneck is perfect item for cold days if you chose a good and soft natural material like wool or cashmere or some mix with a small addition of synthetics which I don`t like. 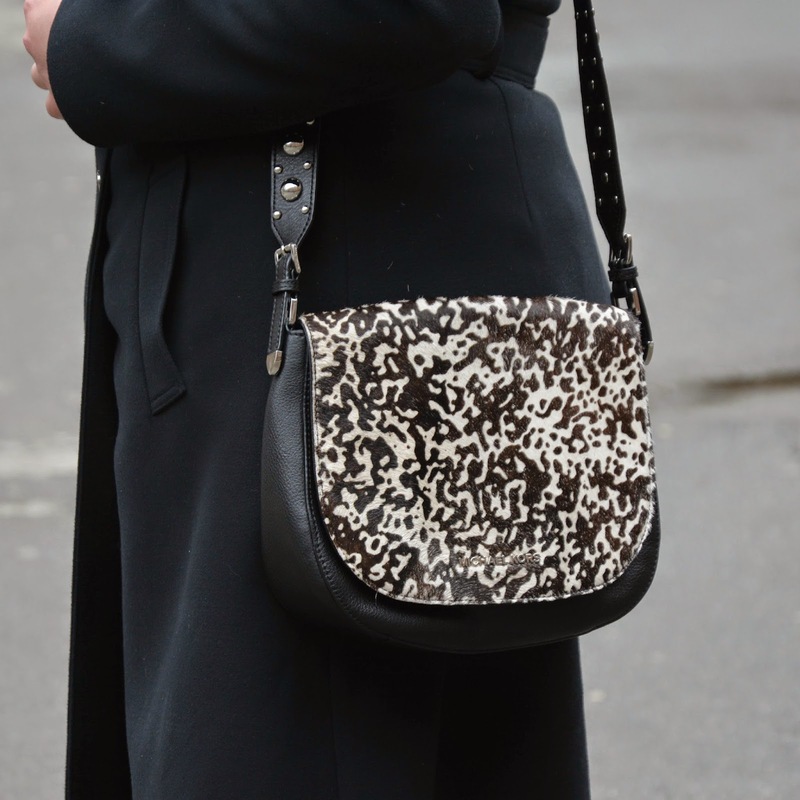 Main star of this look is bag with silver details and animal print. All black je uvek odlican izbor ako se ja pitam. Izgledas odlicno. Kaput je fantastican. Kako je sve lepo.Stalno me iznova oduševiš. Amazing coat and Lovely hat!!!! great outfit! loving the all black look! You look fab! I love that bag! Dopada mi se kaput i torba. Lep post! Me encanta tu look!!! bonito abrigo!!! El abrigo es precioso guapa!